Overt toxicity in adults usually occurs in an industrial setting. For example, workers in electroplating, cadmium-battery, plastics-manufacturing, paint, textile, and phosphate fertilizer factories are at increased risk. Exposure not related to occupation may come from many sources. As I mentioned, smokers inhale significant quantities of cadmium. A single pack of cigarettes can release up to 2 ug of cadmium: each cigarette emits between 0.1-0.2 ug of cadmium, depending on the number of puffs and depth of inhalation. 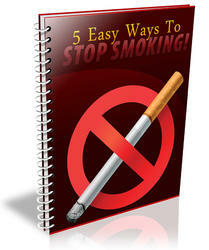 Second-hand smoke is also a risk to those confined with smokers. I shudder when I see children closed up in a car while their parents eagerly puff away on cigarettes. Non-smokers are also at risk. While food represents the major source of exposure, clear plastic wrap used to cover dishes also contains cadmium and should not be microwaved or in any way heated. It should be safe in the refrigerator. Drinking water can be a source of cadmium; in most instances levels are relatively low, but plumbing can increase cadmium water levels since both plastic (PVC) and metal pipes contain the metal. Chronic exposure to high doses of cadmium can also result in altered calcium metabolism, leading to a loss of calcium from the skeleton (osteomalacia). This disease was first discovered in Japan, where it was called itai-itai ('ouch-ouch') disease, an aptly named disorder that causes walking to become very painful due to brittle bones, skeletal deformities and numerous microfractures. Other common complaints include back and joint pains, rigid spinal movements, and thin, deformed bones that hurt when pressure is applied. I have seen one patient who tested for very high cadmium levels with early onset of joint pains, fatigue, and muscle tenderness and had been previously diagnosed with fibromyalgia and chronic fatigue syndrome. In some studies, exposure to even low levels of cadmium has been associated with high blood pressure (hypertension). Experimentally, adding 5 ppm cadmium to drinking water produced elevated blood pressure. Adding zinc reversed this effect, and lowered blood pressure to normal. In other studies even concentrations as low as 0.1 ppm caused hypertension. Subsequent studies have found an anomalous effect. When low doses of cadmium were given, test animals developed hypertension, but high doses induced low blood pressure. The cause of the hypertension appears to be related to the blocking of two enzymes needed to break down the hormone norepinephrine, which normally constricts blood vessels and raises blood pressure. If it cannot be cleared from the blood vessel walls, the vessels remain constricted and the blood pressure elevated. 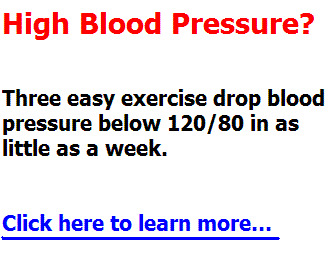 Why higher doses lowered blood pressure is still a mystery. The natural question is: is cadmium responsible for hypertension? Unfortunately, the answer is not entirely clear. Several studies have found a direct correlation between elevated cadmium levels and hypertension in humans,158 while others found no correlation at all.15" It may be that some people are especially sensitive to the effects of cadmium. For example, we know that calcium and zinc deficiencies increase one's sensitivity to the toxic effects of cadmium, increasing absorption of the metal as well. Excess zinc is known to reduce cadmium toxicity, so that those with elevated tissue levels of zinc would likely be less affected. Low iron and vitamin C levels can also increase cadmium toxicity. In cases of heavy exposure, cadmium accumulated in the testes and reduced testosterone production. The mechanism of action is unknown, but cadmium is not thought to have a direct effect on the prostate and testes. It may be that cadmium has an indirect effect on zinc and androgen hormone production. There is no direct evidence that low-level cadmium exposure is a cause of prostate cancer in humans, but it also doesn't hurt to err on the side of safety. Cadmium is known to have profound effects on calcium metabolism, not only in bone but also in the nervous system where calcium is used as a signaling device. Calcium stimulated by neurotransmitters enters special channels in the neuron membrane and once inside the cell, stimulates a whole series of reactions that cause the neuron to fire. Cadmium can block this calcium channel, thereby preventing the neuron from functioning properly. As we have seen, one of the brain's most common neurotransmitters is glutamate, which interacts with several types of receptors on the neuron. Cadmium blocks one of these receptors (NMDA receptor) and stimulates two others (kainate and AMPA receptors). Next to developing babies, persons with neurological disorders would be at the most risk of cadmium toxicity. This is because neurological disease weakens neurons, reduces antioxidant levels and contributes to deficiencies of trace elements such as selenium, zinc, calcium, and magnesium. Cadmium has been shown to decrease brain levels of 5-hydroxytryptophan, a metabolic precursor of the neurotransmitter serotonin, as well as to reduce the number of receptors to another neurotransmitter, acetylcholine (muscarinic site in the cortex and striatum). The levels of dopamine in the brain, on the other hand, were increased. This is especially important for newborns because these neurotransmitters play a critical role in how the brain eventually develops. Dopamine elevation has been associated with behavioral changes, such as confusion and an inability to relate with the real world. The age during which exposure occurs also plays a major role in how neurotransmitters are affected. For example, exposure to cadmium at an early age results in a decrease in serotonin levels in the brain, while exposure later in life causes an increase. The effect on brain dopamine levels does not vary with age at time of exposure. Cadmium affects the nervous system in many other ways, including inhibiting important enzymes.162 It has also been shown to alter myelin formation and maintenance. And like so many heavy metals, cadmium not only increases free-radical production, it also interferes with the brain's ability to neutralize free radicals. Similarly, it increases lipid peroxidation in neurons. One of the more important effects related to free-radical damage is cadmium's ability to lower levels of reduced glutathione in certain brain regions. Reduced glutathione's major role is protecting the nervous system from cadmium toxicity, as well as other oxidizing toxins. Cadmium also reduces the level of another antioxidant molecule, superoxide dismutase (SOD). Increasing cellular glutathione levels can reduce cadmium toxicity. Glutathione binds cadmium and helps the body remove it before more damage can be done. Again, this emphasizes the importance of always keeping antioxidant levels high through good nutrition and supplementation. High doses of vitamins E and C, the carotenoids, flavonoids, and alpha-lipoic acid, can increase glutathione levels as well as assist in neutralizing free radicals.